Mobile app development is a fast growing industry. As the number of mobile and smartphones increases day by day, businesses are developing innovative mobile apps to attract their target customers. Using a mobile app to reach customers is ideally suited for large and small business. You can easily keep your audience engaged and interested when you use mobile apps for business. Our mobile devices have become a part of our lives. Almost everyone uses mobile apps for something: whether it’s playing games, ordering food, getting weather updates, or social networking. Companies can use mobile apps to reach their customers, increase their sales and revenue. Research has shown that 46% customers have paid for apps. The future of the mobile app industry is very bright. It is a great idea to develop a cross-platform application in order to reach your customers. Through sophisticated tools designed for gathering and analyzing in-application data, app developers are paying closer attention than ever before to the customer’s choice, and are much more empowered to tailor communications to boost the usage of the application, as well as drive conversation. There is a big boost in app install advertising content from social media sites such as Facebook, Twitter, and Tumblr. Since app marketers increase confidence in gaining quality customers with ads, however, in the future, it will need to optimize marketing use with re-targeting lapsed customers based on in the app. With the beginning of video previews in the app store, as well as the roll out video advertising, products, the future will see the adoption of videos designed for app marketing. However, app developers will need to re-purpose application previews, create video in support of their apps, and leverage the power of video on social media channels. It is predicted that mobile will definitely capture a considerable share of whole eMarketing expenditures. Smart watches and fitness trackers are two examples of how mobile technology is changing. The internet for things (IoT) has allowed for technologies like remote control of home appliances, heating and security systems; there is no doubt that things like this are the future of the IoT. From innovations like a connected car, health monitors, Google glass, fitness trackers and latest smart watches, the future of mobile application seems to integrate them perfectly into all aspects of our lives. The future of mobile application development is not just about mobile phones and tablets. Actually, we’re heading right into an era of cloud computing powering smart-everything. 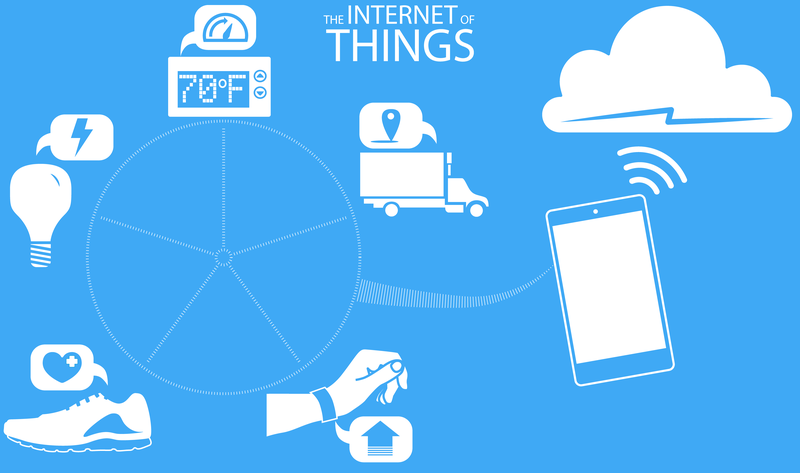 Mobile app development for the IoT will be better in the future. With the growing popularity of Android Wear and the smart watch market, we will see movement away from phones and tablets.